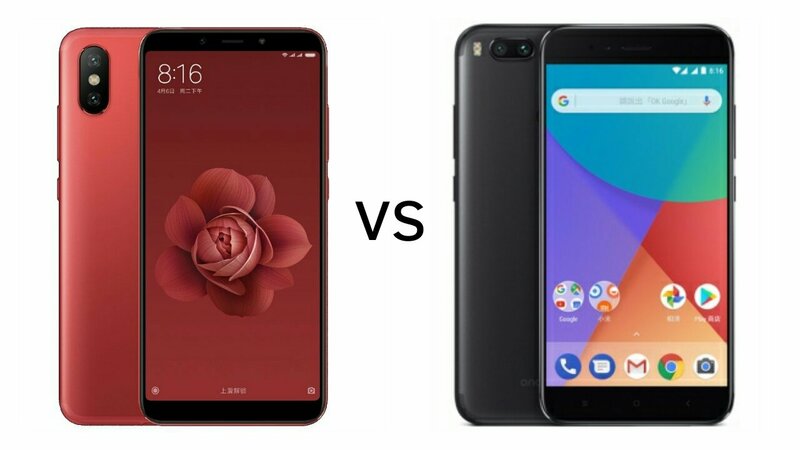 Xiaomi Mi 6X vs Xiaomi Mi 5X/ Mi A1 : What's the difference? Xiaomi has launched Xiaomi Mi 6X Smartphone in China. It comes with 18:9 Display, Snapdragon 660 processor, 20MP front camera. Let's check out price, specs, features comparison between Xiaomi Mi 6X and Xiaomi Mi 5X. Both Phones has a metal body, Fingerprint Scanner on the Rear.Xiaomi has removed 3.5mm audio jack from Mi 6X. Mi 6X has a 5.99-inch (2160×1080 pixels) Full HD+ 2.5D curved glass display compared to 5.5-inch Full HD Display on Mi 5X/Mi A1. RAM has been updated up to 6GB RAM, Front camera from 5MP to 20MP with LED Flash. Smaller battery compared to Mi 5X but has support for Quick Charge 3.0. Xiaomi Mi 6X comes in Black, Blue, Red, Gold and Rose Gold colors priced at 1599 yuan for the 4GB RAM, 1799 yuan for the 6GB RAM with 64GB storage version and the top-end 6GB RAM with 128GB storage version costs 1999 yuan. Xiaomi Mi A1 cost Rs 13,999 in India. Mi 6X has 18:9 Display powerful Processor, Better front camera but No 3.5mm Audio jack. It's Not yet clear if Xiaomi will launch Mi 6X as Mi A2 in India or Not.